Itâ€™s not that often that Gucciâ€™s Frida Giannini breezes into town, so when she arrived in Manhattan earlier this week for a few days, it was cause for celebration not once, but twice. It’s not that often that Gucci’s Frida Giannini breezes into town, so when she arrived in Manhattan earlier this week for a few days, it was cause for celebration not once, but twice. On Tuesday night, the brand’s Fifth Avenue flagship was filled with giddy customers and friends of the house, all waiting for ­James Franco, Blake Lively and Beyoncé, scheduled to stop by to toast the one-year anniversary of The Sound of Change Live, the concert fund-raiser that launched Chime for Change. The charity, founded by Giannini, Beyoncé and Salma Hayek Pinault, funds projects for girls and women in areas of education, health and justice in more than 80 countries. Soon after, an Obama-like phalanx of security detail began lining the step and repeat, cueing Beyoncé’s imminent arrival. She materialized, divine in a cream Gucci jumpsuit, her hair out of the thigh-grazing braids she’s been sporting out of late. Snap, snap, pop, pop and she was whisked away. The room, a zoo of frothing customers, ­followed. Lively walked in while Beyoncé waited for her elevator ride and went nearly unnoticed. Up on the third floor, Lively and Giannini remained in a tête-à-tête in a lounge-y VIP area. “After one year, it’s a great achievement,” Giannini said, with Lively at her side. Beyoncé was sequestered in a private room until she emerged from her abode for an announcement: The megastar had made a personal donation of $500,000 to the foundation. Then sister Solange Knowles began her 30-minute DJ set, starting it off with Calvin Harris’ “Sweet Nothing.” The following night, Gucci and Giannini staged another bash, this time to celebrate the launch of Gucci Cosmetics and its face, Charlotte Casiraghi. 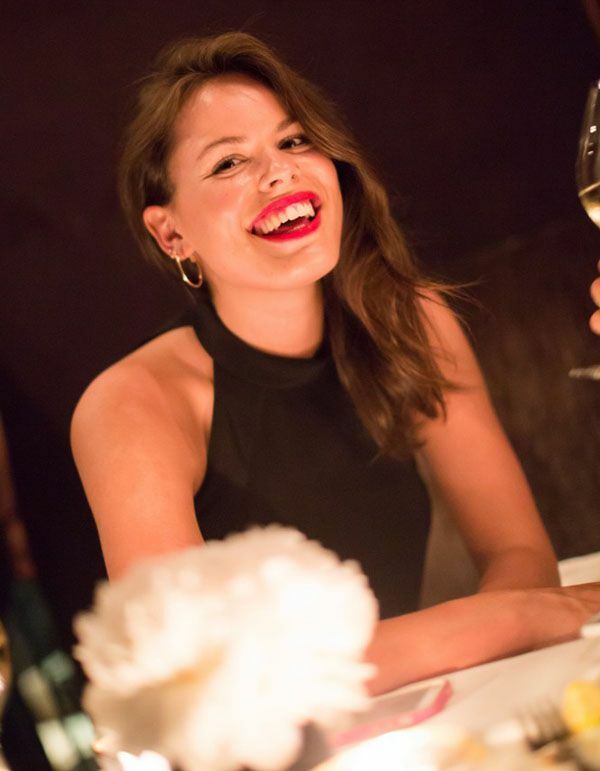 The company took over much of the The Carlyle’s main floor, transforming its restaurant and Bemelmans Bar into a cool nightclub for guests like Jessica Seinfeld, Kate Mara, Solange Knowles, Atlanta de Cadenet, Poppy Delevingne, Kyle MacLachlan, Jennifer Creel, Anja Rubik, Lily Donaldson and Kasia Struss. Casiraghi was particularly looking forward to one special surprise that night. “I think the concert is going to be nice,” she said. She was referring to the special performance by Say Lou Lou’s Elektra and Miranda Kilbey, who rocked chic Gucci dresses on stage.